News of a new games arcade café hit the presses last week and we love the sound of it all! The owner of new café, based in Edinburgh, has been quoted as saying he wants to open it in order to restore the social aspect of gaming which is something we agree has really dwindled in recent years. The café, named Konbo, will feature arcade games imported from Japan and will cater for everyone as the aim is to get people into gaming who feel they don’t have a place in the gaming world or have grown out of gaming. The café will serve food and coffee during the day and its hoped that the owners can source a licence to stay open until 11pm and serve alcohol while putting on events and other attractions. 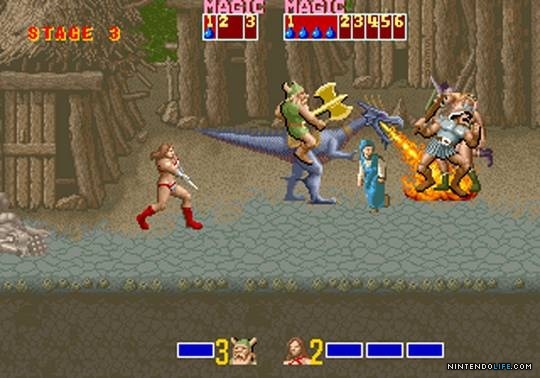 The games will mostly be from the late 1980’s and early 1990’s with titles like Golden Axe and Street Fighter 2 being some of the biggest names; slightly later than many of the ‘retro’ gaming cafes and bars that have popped up in the UK’s towns and cities in recent years. It was just after this period of gaming that the focus moved from arcades to personal computers and consoles so the owner’s of the café believe that restoring the arcade games in a social setting may restore the social aspect of gaming. These days games are shared socially but only virtually and that doesn’t generate the same feeling as actually going out to meet friends and get a tournament going on the arcade machines.